Careers | What can I do with an art history degree? Are you wondering ‘What can I do with an art history degree?’. Studying art history worked out pretty well for Gwyneth Paltrow and Kate Middleton. But if you’re not destined for royalty or Hollywood, what else can you do with your degree? Here are ten art history careers choices which are popular amongst graduates and require many of the skills you will have picked up whilst studying at uni. Arts administration is a popular entry route into the art world. As an arts administrator, you’ll manage activities and projects, and meet a lot of different people (internal to your organisation and external). You will need to be organised, overseeing a range of arts programmes, and enjoy working with a variety of people. Many leading gallery managers started out as administrators. Most people assume if you study art history you’ll become a curator. In fact, you need a lot of determination, and qualifications, to become a curator, as it’s a competitive field. As a curator, you’re responsible for researching and requesting art work loans for exhibitions, as well as looking after permanent collections. Increasingly, arts organisations will employ freelance curators, offering contract work. You’ll need to have excellent research and writing skills, alongside an ability to work with databases and budgets. You’ll probably need a Masters or PhD for many curatorial posts. After studying art history for 3 or more years you will have written a good number of essays! Too suceed as a journalist you’ll need determination and the ability to research and write accurate stories to tight deadlines. Many journalists start working for local papers before progressing to national papers. As the sector responds to social media and digital channels, being comfortable in front of a camera will help! Museum education is one of the most fun and rewarding careers out there. You’ll be cutting up paper animals one day, to giving gallery talks to a school group on another. You’ve got to like working with a real variety of people, and your role will focus on sharing the expertise within the museum/gallery with visitors. In smaller organisations you’ll work with all ages, but in larger museums you may specialise e.g. schools, outreach, Under 5s. Arts organisations require fundraisers to raise money for their programmes and upkeep. This could be from the public, major donors, businesses or trusts. You’ll need to be able to network and develop positive relationships with supporters. Often you can work from home, whilst setting up meetings with supporters in a variety of locations. You’ll need to be confident and self-motivated. Which art careers pay well? I take an inside look at the industry. If you work in communications for a museum or gallery, your aim is to sell each exhibition, raise the profile of the gallery, engage people, and increase revenue. You will work closely with other departments, from curators to educators, as they check facts and work on the story of each exhibition. You’ll need to be great with words, and enjoy connecting people to culture. Archivists care for collections (from artworks to rare manuscripts), that are intended to preserve the past and allow others to discover it. You’ll be responsible for assembling, cataloguing, preserving and managing valuable historical information. You’ll need experience of working with databases and enjoy independent research. There are a range of jobs in higher education, from traditional lecturer positions to working in alumni relations or the careers service. In each of the roles you’ll need to like working with other people, especially students! As a lecturer, you’ll need to learn to divide your time between teaching, administrative tasks and your own research activities. Where museums have suffered lots of funding cuts, commercial galleries, particularly in London, have a range of opportunities. As a commercial art gallery manager, you’ll oversee exhibitions, art sales, press relations and logistics such as shipping art works. It’s a busy but varied role, and you’ll get to meet a great range of clients and other art world professionals. Blogging is increasingly popular, although it can be hard to make money from it (I should know!). Most bloggers have other jobs, or work as freelance writers and social media managers. If you want to make a career from blogging you will need to research and write articles in a chatty tone, engaging readers, and promoting new content via social media. Increasingly businesses are working with bloggers, both in house and through collaborations with freelancers. 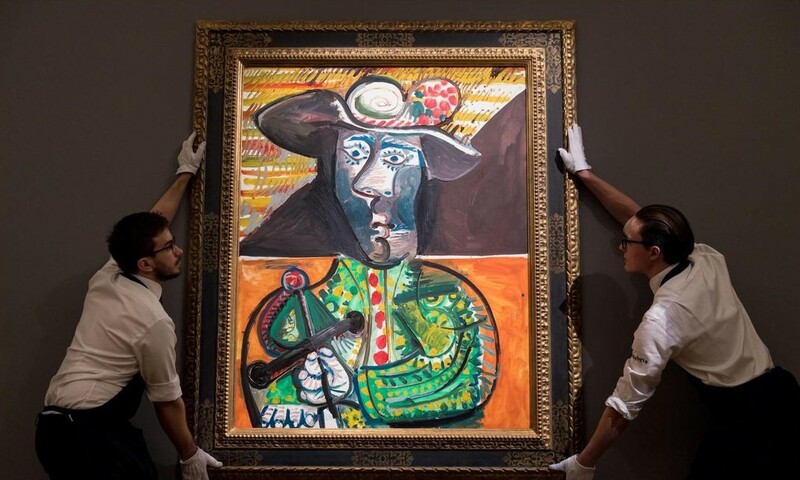 Other popular jobs which art historians go into include events management, retail, creative freelance work, advertising, business sales executives and auction house work. Check out art history careers advice, as well as jobs and opportunities on the Association of Art Historians website.